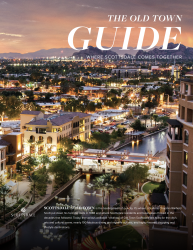 Your comprehensive guide to everything there is to see and do in Scottsdale! 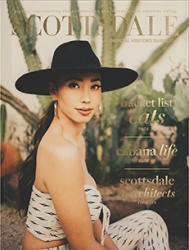 Discover the unique districts that make up the vibrant heart of our city – Old Town Scottsdale. 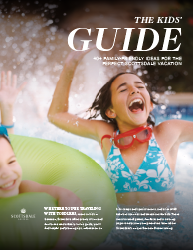 Discover more than 40 fun activities, attractions and dining options the whole family will love. 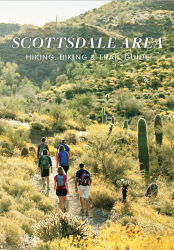 Whether you’re a beginner or an expert, find your best hike on Scottsdale’s scenic trails. 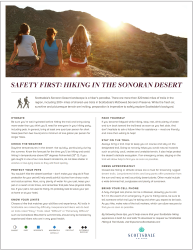 Be sure to follow these tips for safely exploring Scottsdale’s beautiful Sonoran Desert. 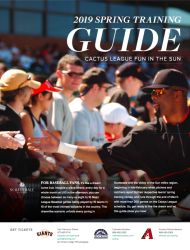 Get the inside scoop on Scottsdale Spring Training, from stadium stats to off-the-field fun. 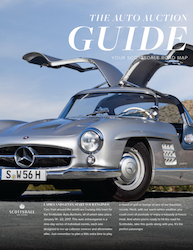 Everything you need to know to enjoy Scottsdale’s premier collector automobile auctions. 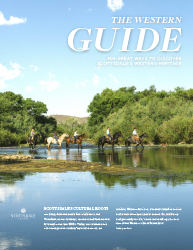 Indulge your inner cowboy with these Western-themed activities, attractions and events. 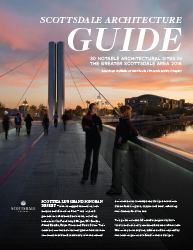 Explore 30 architectural gems by both locally and nationally renowned masters of the craft. 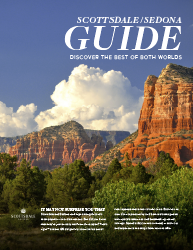 Sedona’s red-rock wonderland is an easy drive from Scottsdale – perfect for a day trip! 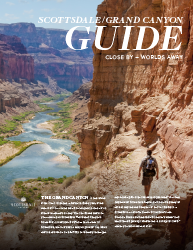 Just a 3 ½-hour drive from Scottsdale, the Grand Canyon is a must-see on any itinerary. From art festivals and horse shows to professional sports, find out what’s happening in April! 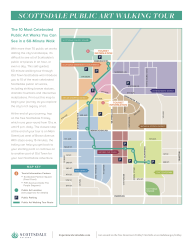 This detailed map of Scottsdale and the surrounding area will help you get wherever you’d like to go. 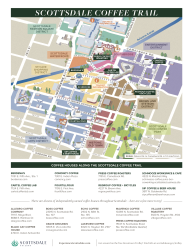 There’s plenty of free parking in Old Town Scottsdale – here’s where to find it! 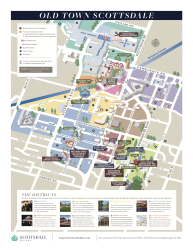 This colorful Old Town map calls out attractions and city highlights you won’t want to miss. 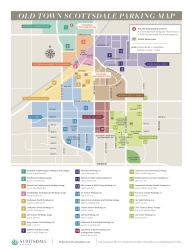 Explore 10 amazing Scottsdale Public Art installations on this walking tour of Old Town. 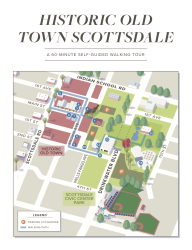 This 60-minute self-guided tour will show you where Scottsdale’s story began in the late 1800s. 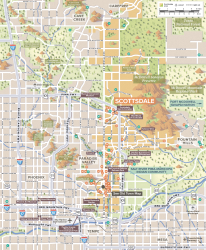 This radius map will show you just how close Scottsdale is to the state’s most popular attractions. 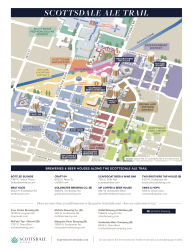 Follow the Old Town Ale Trail to eight of the area’s best craft breweries and beer houses. 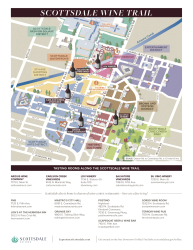 Discover award-winning Arizona wine at Old Town’s five stellar tasting rooms. Need a morning jumpstart or midday pick-me-up? 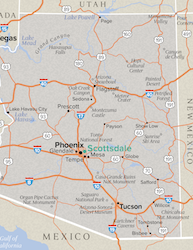 Check out our favorite caffeine stops along the Scottsdale Coffee Trail. Hungry? 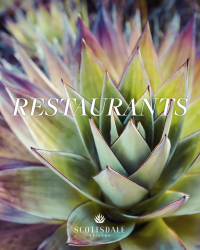 This handy chart will help you find the right restaurant to satisfy your cravings. 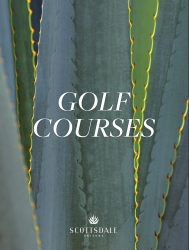 Take a comparative look at Scottsdale’s golf courses – then get ready for the round of a lifetime. 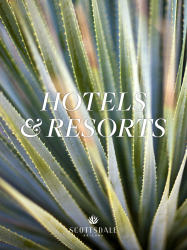 Use this compact chart to compare hotel and resort amenities to plan your perfect stay.